Caregivers and local officials in towns on the periphery of central Maine are looking to set rules for marijuana this year. Somerville and Washington are in different stages of work with citizen committees. Meanwhile, one Washington-based caregiver with a storefront in Jefferson aims to help the latter with its rule-making. 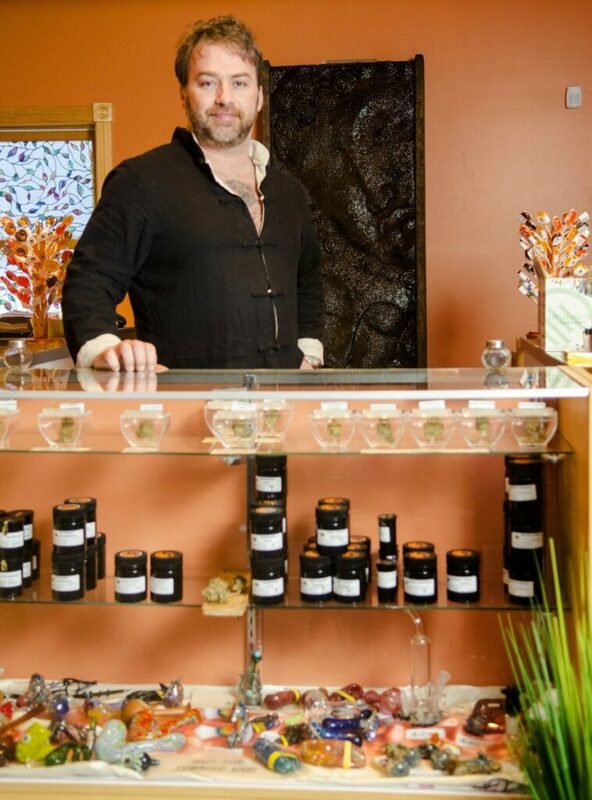 Kennebec Journal photo by Joe Phelan Owner Jake McClure holds up a product container to show its tamperproof seal Friday at the Sensi Sensei shop in Jefferson. Somerville’s Marijuana Committee will begin work Wednesday. According to Maine Department of Administrative and Financial Services data, there are four registered caregivers in Somerville. Jackson McLeod, a Somerville-based caregiver who opened a combination medical marijuana storefront and gas station in Portland, is on the 10-member committee. Town Treasurer Maria Greeley said the town sent McLeod and fellow committee member Russ Gates to attend a Maine Municipal Association forum on marijuana rule-making. McLeod said communities such as Somerville could benefit from grow operations and product manufacturing businesses, particularly with property and equipment taxes. The best avenue to well-regulated businesses of that type, he said, would be to have clear zoning regulations and ordinances in place. McLeod said it was exciting that local caregivers and residents can be on the front lines of writing ordinances. “It’s amazing that we are able to participate in that process in a small community,” he said. Somerville Select Board Chairwoman Darlene Landry said an important aspect of the committee’s work would be surveying townspeople on where they stand on marijuana establishments. She said the town surveyed residents in 2016 on their interest in having adult-use marijuana establishments, and the town was overwhelmingly against them. That outcome was unsurprising; residents voted 207-137 against the 2016 referendum question on legalizing marijuana. “They didn’t seem to want anything to do with them,” Landry said. She said Somerville’s relationship with marijuana could be complicated further by its status as a dry town. Landry said Somerville and surrounding towns have proceeded patiently, as state rule-making for adult-use marijuana has yet to be passed. At the local level, she alluded to uncertainty about licenses in Hallowell as an example of “jumping the gun” on regulations. She said large growing or manufacturing operations would struggle in Somerville because the town doesn’t have three-phase power. “I don’t see the investment someone would make doing a cultivation or processing plant here … in a small, small town like Somerville,” Landry said. Jake McClure, a Washington-based caregiver and operator of Sensi Sensei caregiver storefront at 50 Rockland Road in Jefferson, said he has worked in Washington with a committee similar to Somerville’s to draft a proposed ordinance that will go to town voters in March. Steve Ocean, a member of the town’s Planning Board and its marijuana committee, updated Washington’s Board of Selectmen on the ordinance Wednesday. He said the town’s ordinance will focus on enabling small adult-use marijuana businesses and bar large operations, with some sort of cap on square footage. “We’d like to see people be able to grow and sell recreational marijuana on a small scale without much regulation,” Ocean said. While the language is not final, he said, small operations could be allowed anywhere in town and larger operations probably would be confined to rural commercial districts around Route 17. Ocean added that the committee was guided by a number of caregivers in town. There are seven caregivers in Washington, according to state data. The ordinance will not deal with medical marijuana. At last year’s town meeting, Washington residents approved a moratorium on adult-use establishments. Washington Town Clerk Mary Anderson said a draft ordinance is being fine-tuned by town attorneys in preparation for the March town meeting. She said there may be a public hearing on the ordinance ahead of the meeting. 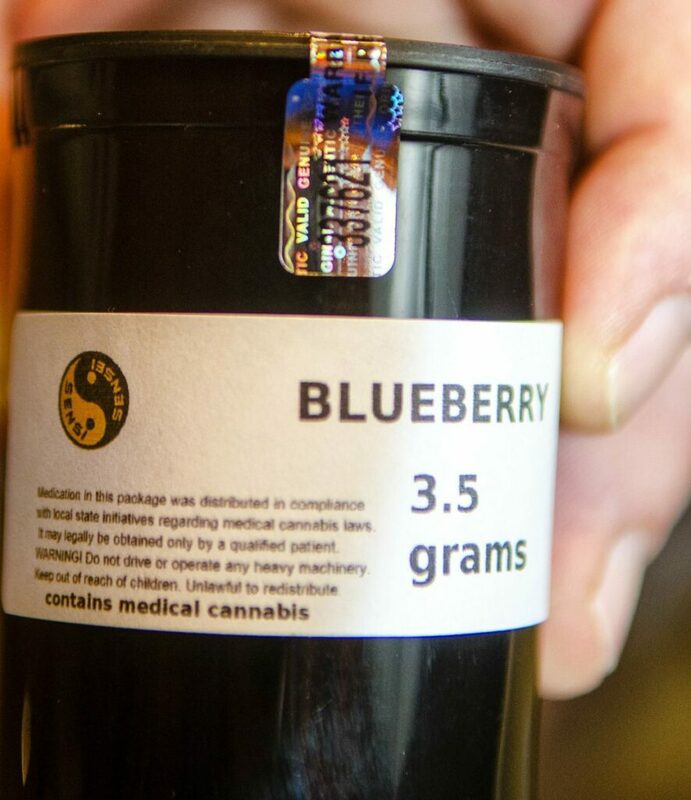 McClure said a selling point for Washington officials has been supporting local farmers, rather than waiting for “big marijuana” companies to come in and push out caregivers. McClure said towns often try to impose stricter safety measures on marijuana establishments, such as bars on the windows and security cameras, but he advocates looser restrictions. “We want common-sense regulations,” he said, adding that marijuana growing operations often have fewer liabilities than mechanic’s garages. McClure said he will contact town officials in Jefferson, hoping to work on local rules after Washington’s ordinance is finalized. Bordering Somerville and Washington, Jefferson is dealing with a large number of caregivers compared to other central Maine towns.